Our eyes can speak volumes. But good eye makeup is essential to enhance the beauty of our eyes. Kajal, also known as kohl, is one product that can transform the way you look – and the most basic product in a woman’s beauty arsenal. Be it a simple on-the-go look or something more elaborate like party makeup, well done eyes always grab attention! For occasions like weddings, cocktail parties, etc., you can amp up your look by using different colored eye pencils. Kajal is not just safe, but actually good for your eyes. In fact, Ayurveda prescribes kajal as medicine! However, you must see to it that it is removed at the end of the day, since your skin needs to breathe as well. Some eyes are more sensitive than others, so if you feel any kind of irritation, remove it and opt for another product if you wish. You can also apply kajal on upper lid in case you are not comfortable with eye liner. Since a lot of women rely on kajal, it is really important to choose the product that suits your needs. You can choose from smudge-proof, waterproof, and water-resistant kajal. 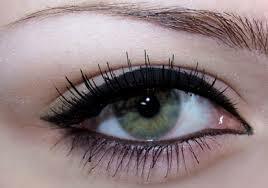 To make your kajal last longer without smudging, complement it with a pigmented black eyeshadow. Just as foundation needs to be set with a powder, kajal needs to be set as well. 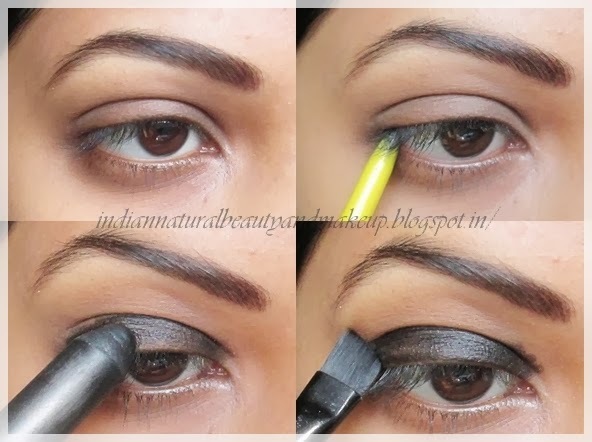 Use an angled eyebrow brush to work some of the eye shadow over the kajal and notice the difference. 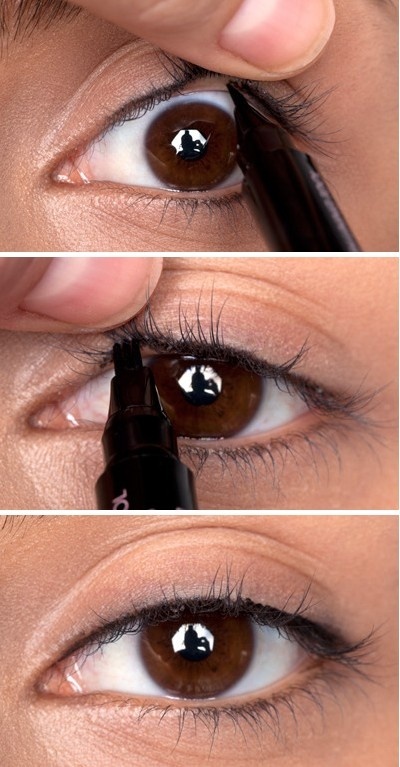 This is a quick and easy way to intensify the kajal to make it stay crease-proof for longer hours. Avoid using eye pencils that have shine or glitter in them as they can be harmful to your eyes. You can wear kajal as an eyeliner, an eyeshadow, or use it to create a smokey eye as well. Why on the upper lid? When you want to have a formal look, you can apply kajal only on your upper lash line, and leave the lower lash line bare. This style looks very good with formal wear. For smokey eyes, you can smudge the kajal on the upper lid. 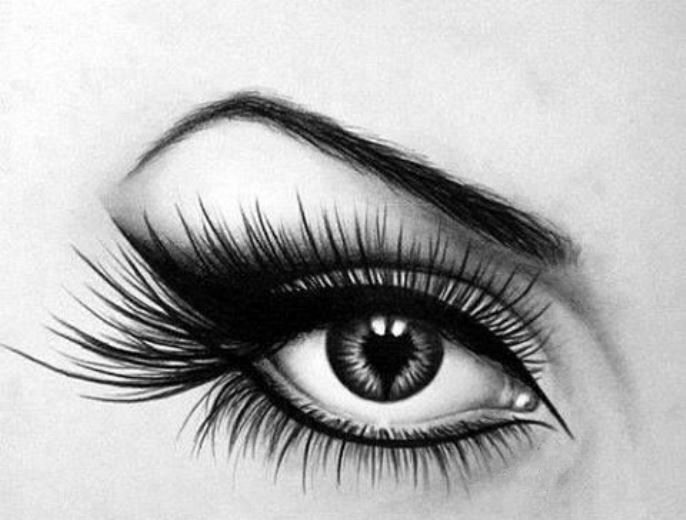 Apply kajal on your upper lash line and then rub your eyelids with a really tiny amount of petroleum jelly. If you have oily skin, avoid the petroleum jelly and simply smudge the kajal with a smudging brush. Then apply another line of kajal to achieve the desired intensity of the look. A makeup look is never complete without mascara. It brings the entire look together and makes your eyes look brighter, so don’t forget to top it all off with mascara!